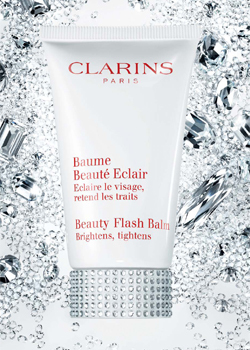 ON THE 8TH DAY OF CHRISTMAS… SANTA CAN GIVE TO ME..
Clarins Beauty Flash Balm turned 30 last month and to celebrate Clarins teamed up with Swarovski and created this gorgeous crystal studded cap *grrr*. This Beauty Flash Balm brightens and tightens. Clarins describes it as an exceptional beauty booster which immediately eliminates all signs of fatigue: facial features appear rested and smooth. 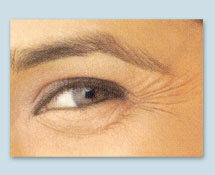 The cream in contact with the skin, remains soft and pliable to fill out fine lines. While the cream in contact with the air, sets to a firming film which gives skin a radiant glow. It promotes a radiant complexion and long-lasting, incredibly luminous make-up. The ideal treatment before a busy day or an evening out. Also the great thing about this product is that it works for all skin types. This product sounds amazing! and seems perfect for this cold weather that can be quite harsh on model like skin *side eye* and from testing it at the House Of Fraser counter it left my skin feeling smooth and soft!! I’m all for fighting signs of skin aging as young as i am.. so If santa doesn’t deliver this… maybe it will be a gift to myself!! Next Post ON THE 9TH DAY OF CHRISTMAS… SANTA CAN GIVE TO ME.. PREZZIES FROM NINE WEST UNDER MY CHRISTMAS TREE!! !